A low-slung crossover. Who needs an MPV? 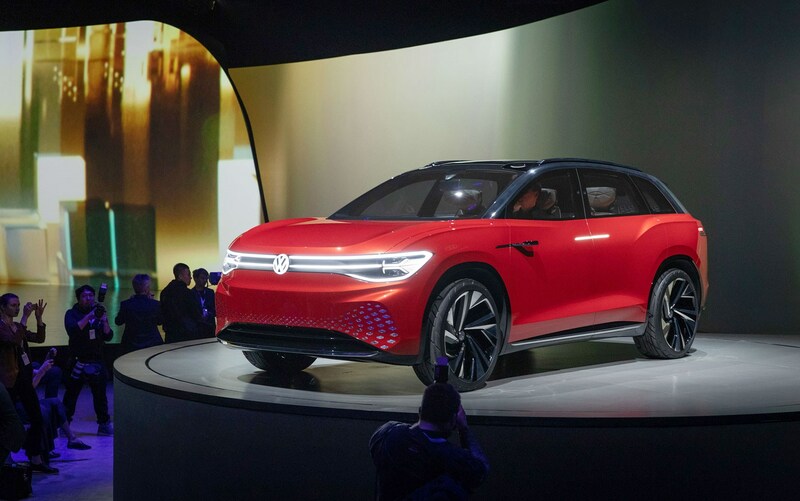 The new Volkswagen ID Roomzz concept car has been unveiled on the eve of the 2019 Auto Shanghai motor show, showing how VW’s electric car range is expanding at a dizzying rate. 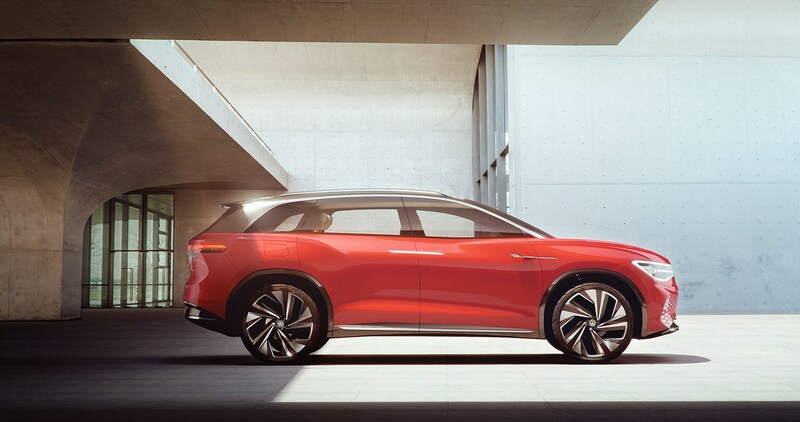 And this is no flight of fancy; it’s previewing a new type of crossover/MPV mash-up, due to go on sale in China in 2021. European sales are likely to follow suit, according to Wolfsburg top brass CAR spoke to. 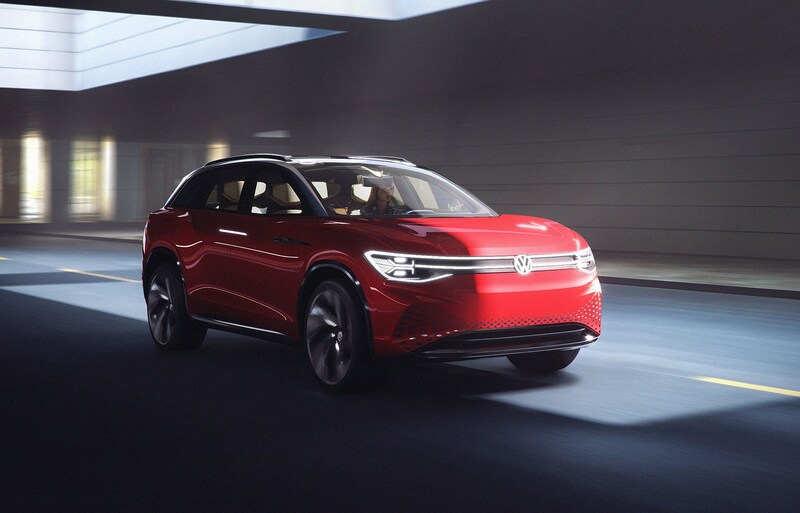 It’s no accident that the new EV is being shown in China; this is the world’s biggest zero-emissions market and this week’s car show will be festooned with battery-powered electric cars. In 2018, some 950,000 electric new cars were registered in China, out of a mind-boggling total of 22 million registrations. This is why Volkswagen chairman Herbert Diess (below) came to Shanghai to unveil the new ID Roomzz on the eve of the main expo. CAR magazine is reporting live from Shanghai, so stay tuned for plenty more coverage in the coming days. 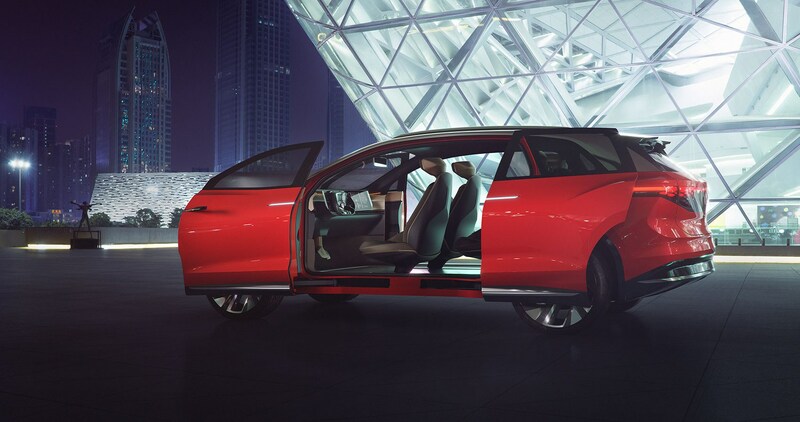 This is a large, five-metre long car, whose focus is on interior space and versatility, hence the four large suicide doors that open like a reverse handclap for ease of access. Sadly, those reverse-hinged doors are not bound for production cars (and nor are the cameras for door mirrors, scuppered by cost). 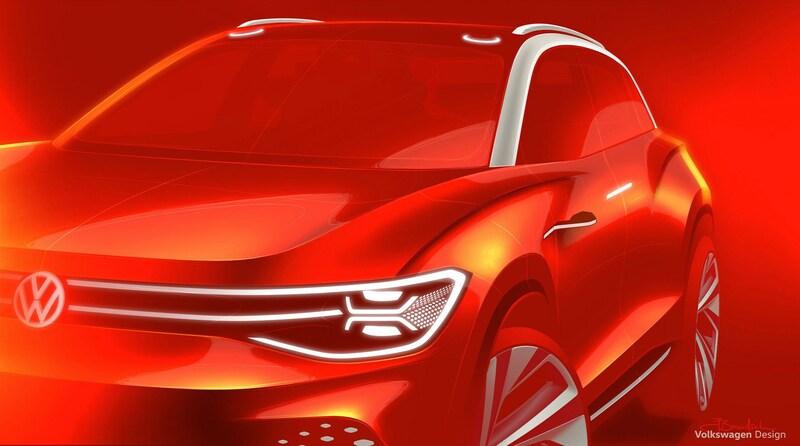 Volkswagen talks of ‘a lounge on wheels’, as its designers grapple with what the autonomous future looks like. The ID Roomzz features ID Pilot mode, which allows for full hands-off, level 4 driverless mode, you see - freeing up the cabin to double up as your sitting room. The concept car is a four-seater with a glass roof. 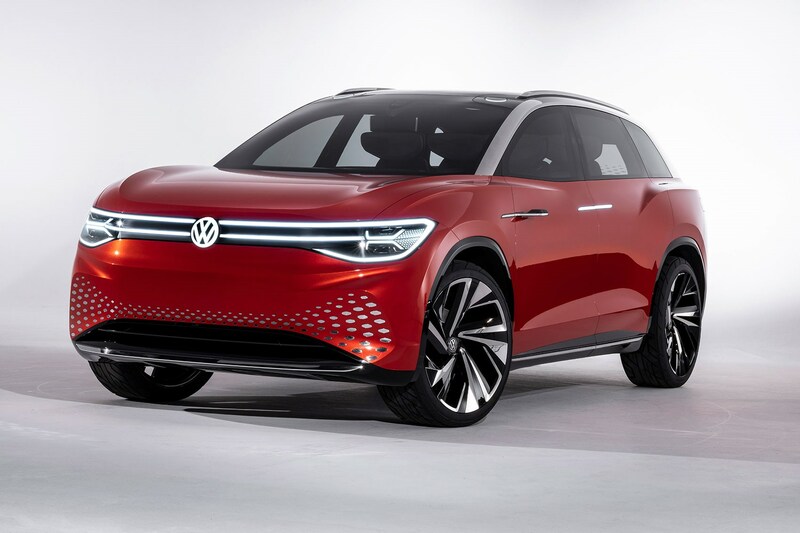 But VW admits the production version will be offered with three rows of seats as a seven-seater, as a standard five-seater or even as a four-seater with a pair of captain's rear seats, according to Bischoff. 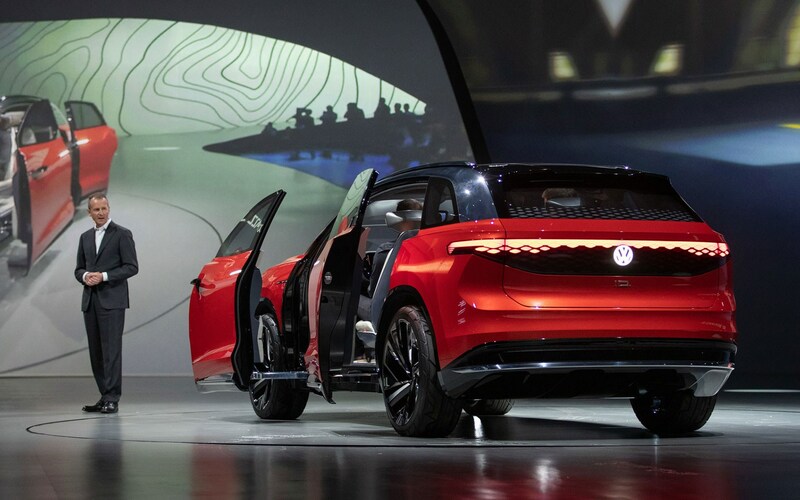 For this concept iteration of the VW ID Roomzz, those electric chairs pivot outwards to make it easier to climb in or out. 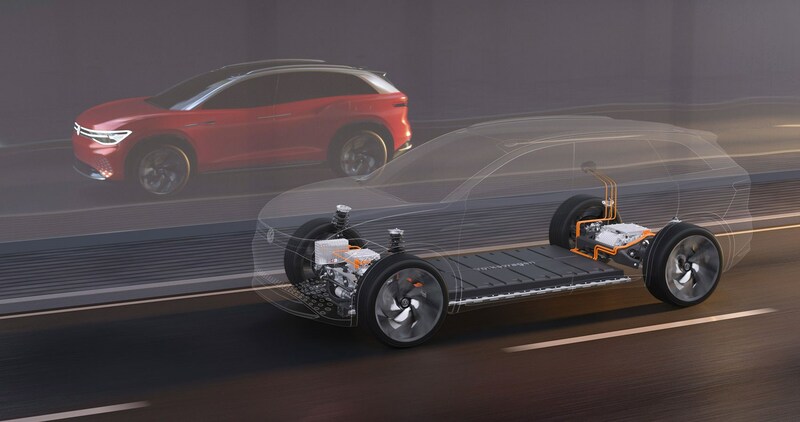 The new ID Roomzz is a powerful crossover, with two electric motors: the front axle is powered by a 75kW motor, while the rear axle boasts an output of 150kW. Under normal driving conditions, it’s rear-wheel drive but the front wheels come to life under full throttle or if slip is detected, activating all-wheel drive 4Motion mode. With 225kW in total (equivalent of 302bhp), this large car is impressively fleet of foot. 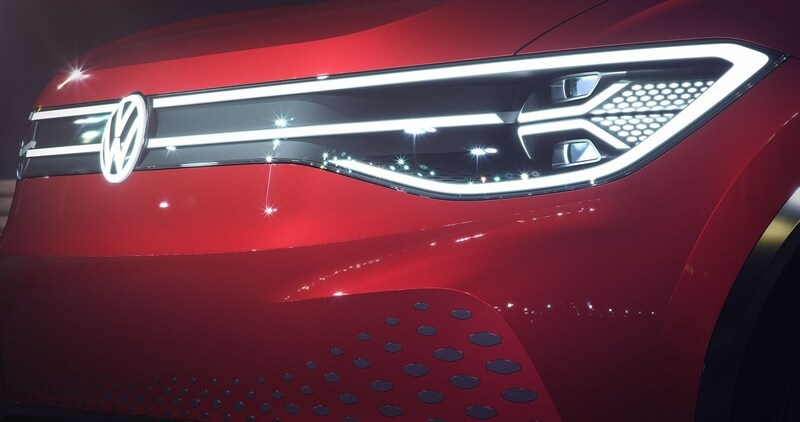 Volkswagen quotes 0-62mph in 6.6sec and top speed is capped at 112mph (the limit that’s likely to spread like wildfire across most cars; Volvo has already committed to it across its range). 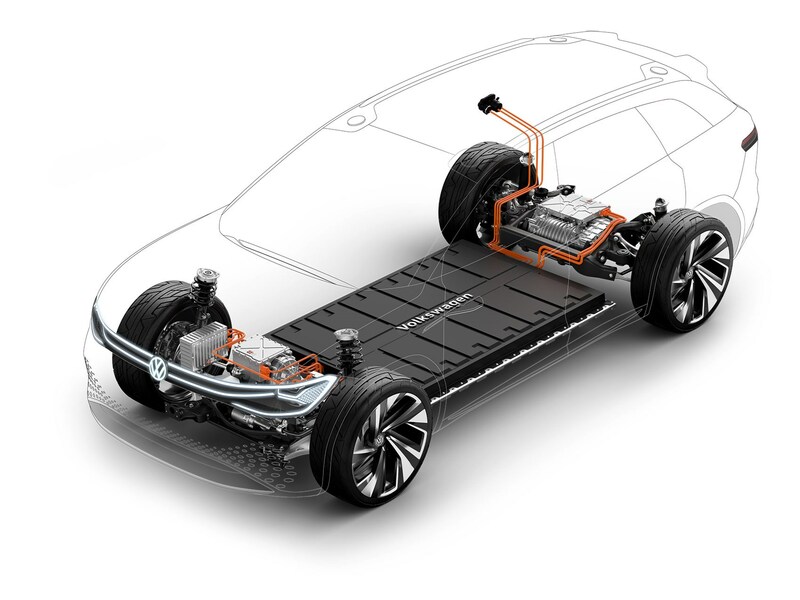 Of rather more interest, the lithium-ion battery pack has a 82kWh capacity, which brings a 280-mile range on the latest European WLTP combined cycle. VW says the ID Roomzz can charge at up to 150kW DC; on rapid charge, that means the battery can be topped up to 80% in around half an hour. 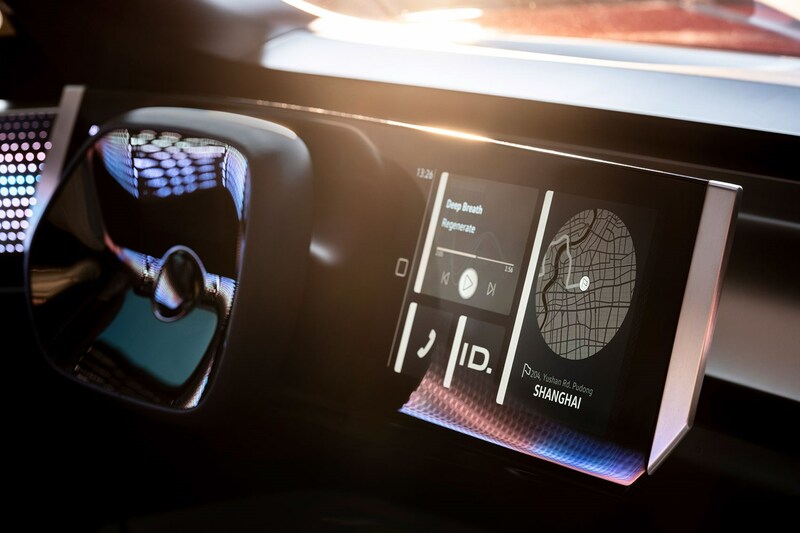 Note also the latest augmented reality (AR) tech which beams nav instructions and other notifications on to the head-up display in front of the driver. 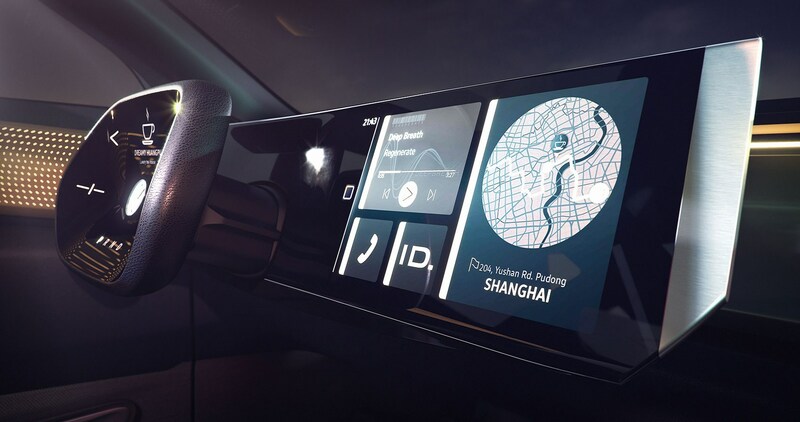 They’re super-imposed on the view ahead, with arrows indicating the direction of travel, a bit like the latest Mercedes-Benz MBUX system. 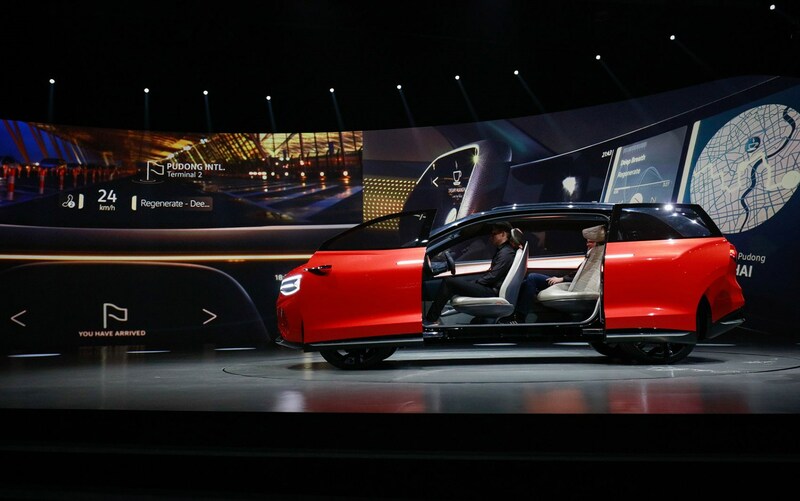 Up to nine cameras are peppered around the electric car's bodywork, keeping a watchful eye on proceedings for the semi-autonomous drive systems. Cleverly, some of the radar scanners are hidden behind the paintwork. Ah yes. What can we say? 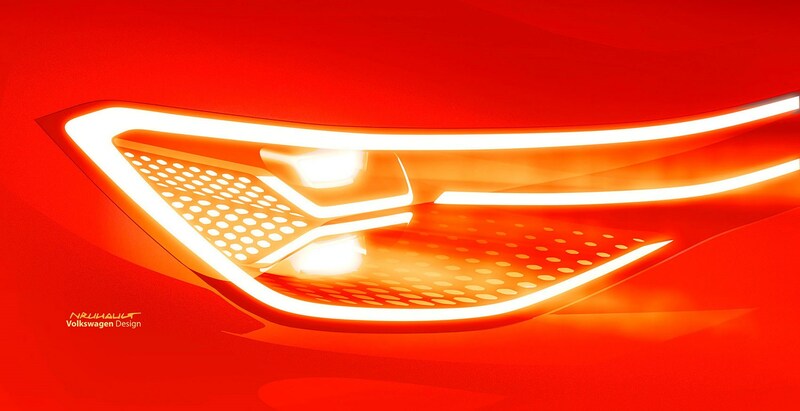 Wolfsburg is working the ID family tree hard and the youthful name is just one of those cringe-worthy badges we’ll have to accept for now and hope doesn’t make it to production… Many of the cars feature the double Z, like the ID Buzz and ID Vizzion. 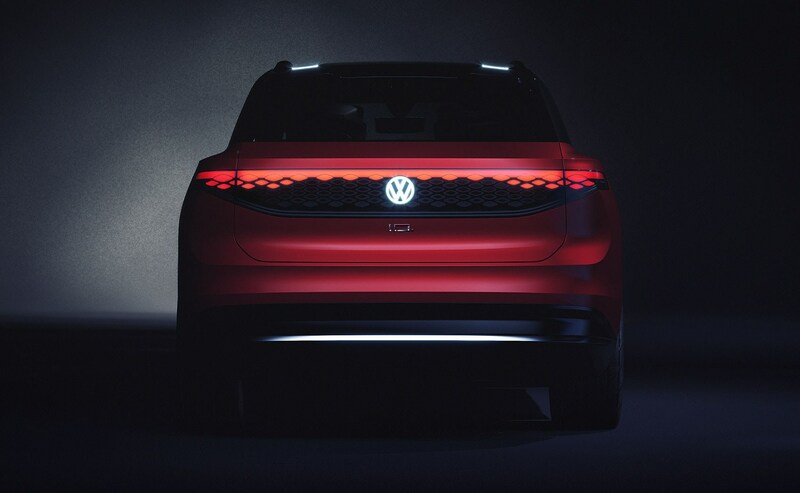 Like all the other VW ID family members, this electric car is based on the group’s important new MEB EV car architecture. You can read our detailed explainer about the clever tech onboard here. It’s the sixth battery-powered car shown so far, following in the silent tyre tracks of the ID, ID Crozz, ID Buzz, ID Vizzion and the ID Buggy (above).